Now is the time to listen to the voices in the wind. From French fields of wheat. Hoods are important for various forms of weather and for collecting courage. They are important for keeping yourself strong. And sometimes you have to be a warrior. The Met Gala was a little off the chain(maile) with the theme. But I do think there was something underneath that may have been touching a beat. It has to do with Joan of Arc, who was born on January 6th 1412 during the One Hundred Years War in France. And of course she would be an Aquarius. And here’s why I say this: not only because she was crazy (and really, compared to what), but because of her commitment to a vision that carried her. She surfed between worlds effortlessly, so involved in what it took living in them that there was no time for the doubts or grievances of those around her. Her sense of urgency and the unsurmountable vision carried her to victory in her swift defeats as France took back their land from the British. She did not exhibit courage and drive, she had no choice but to emulate them. This kind of single minded notion, this “listening” to whatever bells she heard, gave her grace and meaning, and to the outside world, a kind of inconceivable strength in her conviction. I know we all hear bells. It’s just a matter of wearing the right clothes and listening to the sound's deep meanings. My computer hard drive is in the ICU and might not make it. So I'm beginning to change my mind about some things. Like where I am going to write and how I am going to update my software always. How I am going to write only on google documents because I realized on the subway that my stories only exist in my mind. I may have lost the letters that make them, but I hardly need to form the words before the place exists there before me. 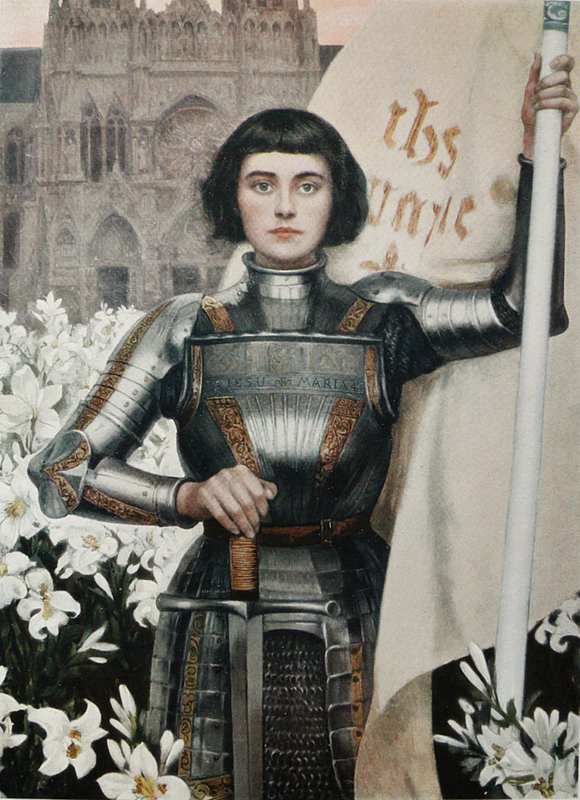 Decide how you can become slightly more like Joan of Arc and do it (but, for heaven's sake, not too much. You still have to know your audience).